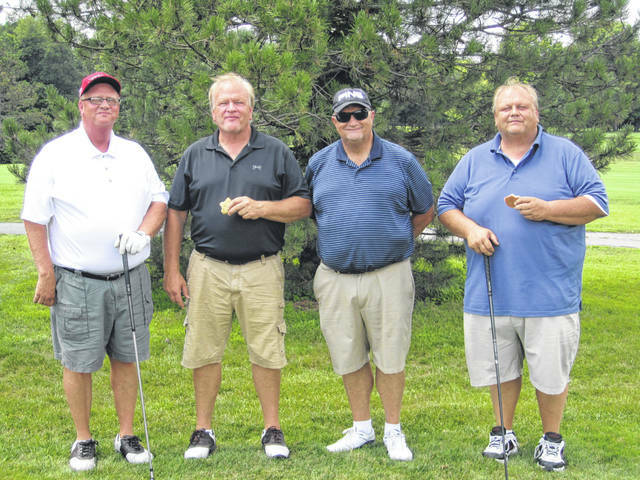 VERSAILLES – Golfers participated in the 56th annual Chamber Golf Outing on Monday, Aug. 6 at Stillwater Valley Golf Club. Gold sponsors for the 56th Golf Outing were Phelan Insurance Agency, Premier Health, Walls Brothers Asphalt and Zechar-Bailey Funeral Homes. 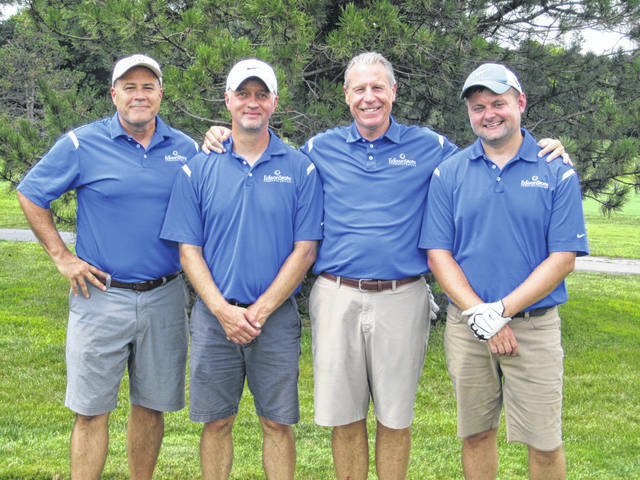 Silver sponsors were Classic Carriers Inc., Graves-Fearon Agency Nationwide, JAFE Decorating Inc., Leis Realty Company, Mercer Savings Bank, Orthopedics Associates of SW Ohio, Ramco Electric Motors, and Second National Bank. The Luncheon and Dinner Sponsor was Wayne HealthCare. Shotgun start sponsor was Cope’s Distributing Inc. Winners of several major prizes were: 1/2 Carat Diamond Circle of Love Necklace donated by Wieland Jewelers: Bryan Clymer, Wellness / Spa Gift Basket donated by The Natural Path: Matt Aultman, KitchenAid 5-Quart Tilt-Head Stand Mixer donated by Darke County Chamber: Randy O’Dell, Chamber Basket of Cheer donated by Wayne and Sharon Deschambeau: Brian Beam, LED Flashlight / All-In-One Auto Kit / Emergency Food Supply donated by Cope’s Distributing: Todd Reish, Overnight Package at the Inn donated by The Inn at Versailles: Ryan Cox, Fire Ring 15 Inches Tall / 38 Inches Diameter donated by Rebsco: Scott Wise, Dayton Dragons Tickets donated by Greenville Federal: Russ Badgett, Dayton Dragons Tickets donated by The Daily Advocate: Jennifer Williams, Dayton Dragons Tickets donated by Berkshire Hathaway Home Services: Greg Jones, KitchenAid 5-Cup Electric Kettle donated by Darke County Chamber: Mike Curtis, Gift Bucket donated by Mercer Savings Bank: Alisha Reiss, Gift Basket donated by Wayne HealthCare Foundation: Tony Roberts, Gift Bag donated by Studio 1 Hair Design: Travis Fliehman and Gift Bag donated by Village Green Health Campus: Rodney Oda. 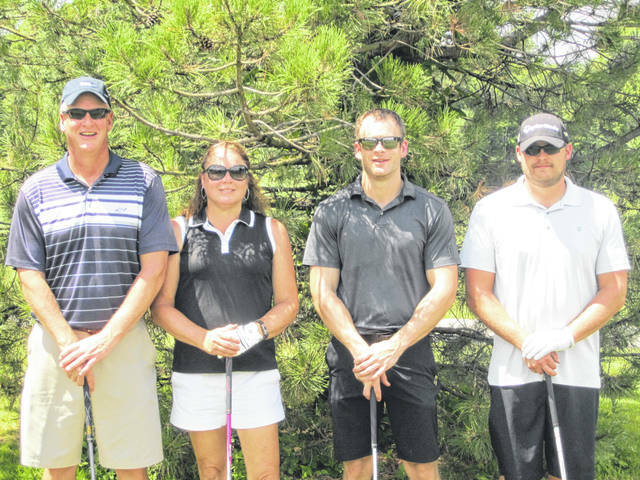 Hole In One Sponsors: Dave Knapp Ford Lincoln, Hittle Buick GMC and Troutwine Auto Sales. The following businesses were prize donors: Ace Hardware-Greenville, Berkshire Hathaway Home Services-Shaun Hayes, Berkshire Hathaway Home Services-Bob Nelson, Brethren Retirement Community, Brookdale Greenville, Cope’s Distributing, D.L. Beck, Darke Rural Electric Cooperative, Greenville Federal, Leis Realty Company, Mercer Savings Bank, Marco’s Pizza, Mr. Ron Myers, Phelan Insurance Agency, Prosperity Promotions, Rebsco, Inc., Second National Bank, Splash & Dash Car Wash, Stillwater Valley Golf Club, Studio 1 Hair Design, The Daily Advocate, The Inn at Versailles, The Natural Path, Village Green Health Campus, Wayne HealthCare, Wayne HealthCare Foundation and Wieland Jewelers. This entry was tagged Darke County Chamber of Commerce, Stillwater Valley Golf Course. Bookmark the permalink.